I get email spam, just like everybody. The saddest thing about email spam is that unlike the phishing phone calls I get, there’s no good way to really run a telemarketer theater prank, so I can’t even generate good website content. They’re basically useless. Somehow it was just crappy enough that I HAD to click on the link (I’ve disabled it so no one who looks at my site clicks on it on accident). I guess I was kind of wondering how much effort they went to to duplicate the Duquesne website. Did they register a soundalike domain name? What? Nope… they went to a free forms site called 123ContactForm. The image accompanying this post is what the form looks like. 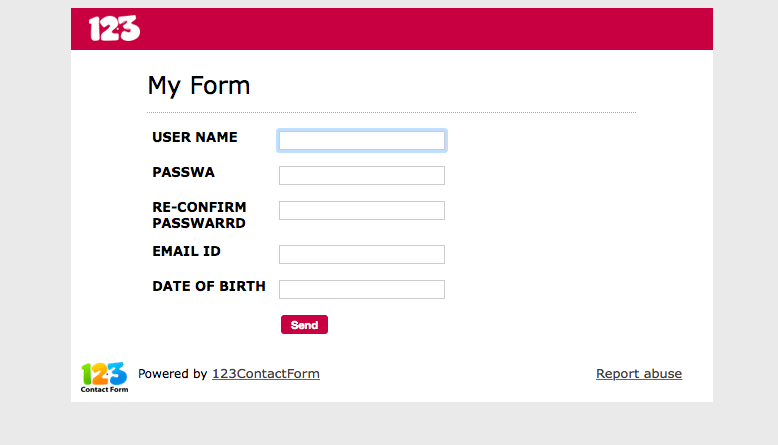 Oh look, they’ll expand my quota if I give them my “passwa” and then if I “re-confirm” my “passwarrd.” Yep…. that looks legit. Maybe they want to make sure they don’t accidentally scam someone smart enough to find them. Brilliant! Do I get a discount as I am currently unemployed? Unmm… is there an additional family discount? Maybe I can knock off one more dollar. Cost of doing business, you know. I don’t see what the big deal is. Just give them your Passwa, what are they gonna do with it? I don’t give out my passwa unless someone buys me dinner first. Lynn: Maybe I can knock off one more dollar. Cost of doing business, you know.